Bully is a label used to separate and often put you down, however until I find another label I will use what is familiar. I know a woman who has been a bully, a dreadful bully, and has been bullied – I know her well – very well, for she is me! So I get you – I know what it could be like, I know of the deep pain, shame and desolation. I write with no intention of judgment, shame, blame or criticism. A picture I had in my head was of a beautiful bird, then the next frame this was a bird with no feathers. You may ask how this is related to bullying and being bullied. This plucking takes the birds mind off the things that are going on around it, brings the focus close, helps to feel in a physical way, the emotional pain that cannot be seen and strangely enough gives the bird some sense of distraction, for a while and a sense that there is a wound, and eventually scars that can be and will be seen. 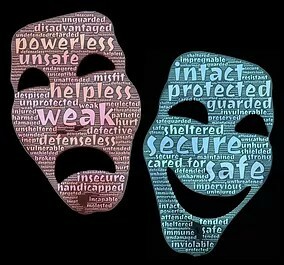 For the emotional and mental wounds and scars of bullying are never seen, so the pain is never acknowledged by others. What the bird does not see is that the more this behavior continues the less feathers it has, the less beautiful it looks, the more attention it gains, the more strange it looks, the more vulnerable it feels and the more it feels the climate changes, and often the bird feels worse – huge shame, more shut out, more isolated, more it hates itself, therefore the more pain it feels emotionally. It looses its feeling of protection, literally and physically. Yet the environment has not changed, the stressors are still there. Then after some time a feather will start to grow back and because of inner feelings of shame and guilt (another blog coming around this) the bird will pluck that out immediately. This bird gets further mistreated by those around it, and will often be picked on by its own family, it becomes prey, so it will fight back, and bully itself even more. We will leave this bird for now. You were born whole, beautiful, innocent and so full of life, enthusiasm, love for others and nature. Just like this beautiful bird. Sometime in your life you discovered the pain of being abused and/or bullied, or witnessed abuse and violence – most likely when you were too young to remember – this abuse/bullying would have most likely been done with words alone, or with words attached to actions, words that could have been threatening, shaming you to silence, belittling you, causing you to feel bad, wrong, evil. Your environment may have been filled with this behavior consistently, creating a lot of pain and stress and so you knew nothing else. This caused stress within you, within the depths of your mind, great pain and created a pattern and deep feelings of dis empowerment. These feelings created chemical reactions within you and from that moment onward, because you had no-one to understand you, to help you, to reassure you of your beauty, innocence, love and how special you are, to support you and teach you ways to address what was happening and every time something happened that triggered this memory, these chemicals got dumped in your system causing all the feelings to come alive again. This wired patterns within your deepest memories and became your beliefs, about yourself and others. You most likely, at an early age, began to believe you were useless, hopeless, bad, that things were your fault, that others happiness was your responsibility, that you did not matter, that no one cared about you, no one loved you, that you were invisible, except when someone needed a punching bag (physically or emotionally/verbally) and maybe a raft of other things as well. 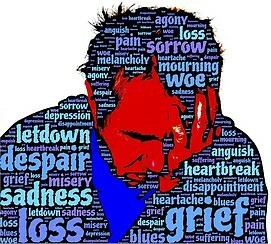 The more things that happen in your life that caused you to feel this way, the deeper the feelings of resentment inside got and maybe you started lashing out, verbally/emotionally or physically. This felt good in the moment, however got you in more trouble and reinforced those feelings that we have just discussed, and if you were like me immediately regretted any outburst, then the feelings of being useless, hopeless, bad, shameful and wrong would start all over again. So as much as you could you internalise your pain, the feelings of being unheard, unseen, unwanted, hopeless, useless, bad, unloved etc. These thoughts kept going over and over, the resentment builds and you feel like a volcano ready to burst. Someone comes along, with a kind word, or with a taunt, and the volcano erupts – you are labelled a bully! Yep – kindness can trigger an eruption, because it is so foreign to you, or an ulterior motive (often kindness was used as a bribe and precursor for following abuse) or you sense that this person may well understand you, all the pain and suffering inside may just come tumbling out, and at all costs you cannot let anyone see this (because somewhere in your mind you believe this is a weakness), so to prevent being seen as weak or soft, you lash out for protection. You are feeling so mad, vulnerable, different, unsupported, isolated, the thoughts you have had towards yourself were filled with hate, and you feel exposed and do not know what to do, where to turn to or how to let rip. You feel that no one will listen, no one will understand, or if they do the will not care or help you, that you will be judged, criticised and further labels will be added. So instead of lashing out, because you know it is not acceptable behaviour, mostly you internalise that pain and you “pluck away” at yourself, pulling yourself to bits, beating yourself up, stripping yourself of any feelings of happiness, or hope of happiness. This takes you away from your external situation and gives you some reprieve, however the damage you do “plucking away at yourself” is adding up. 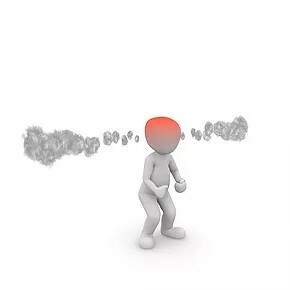 You may also isolate yourself, to protect yourself from others knowing your secret, that you have this anger/rage and maybe to protect others from the rage that is inside. You fear what harm you could cause if you let rip the feelings that are inside of you, yet you cannot share this with anyone for fear of the shame, for fear of being seen, for fear of someone knowing that you have this inside of you and judging you. You are terrified that this will never get better, that you will never live with any form of happiness, that you are doomed to a life of misery and despair. Did you know YOU MATTER, there is hope for you, there is a way through and out, there is a way to regrow those feathers that you have continually plucked out to feel safe again, there is a way to heal the scabs and scars you carry? How do I know this – I was like a bird with no feathers, I was filled with desolation, hopelessness, anger and in the end I was the biggest bully in my own life. I realised I had never ever really truly known the freedom of true happiness, (I had experienced fleeting moments) because each day was lived on alert of being abused or bullied again. The chemical programming in my cells and the thought processes in my mind were so entrenched, I did not know any different. One day I decided I had had enough, I could not do this anymore, and while it was tempting to end it all, I knew that there WAS something better and I chose the path out, the path through the past, past the anger, out of the bully, over the obstacles, through the darkness and into the place I had been longing for – no more bullying, no more conflict – a place of peace, of acceptance. I have realised life is like a jigsaw puzzle – we make it as we go. Sometimes when building our puzzle we realise there are big parts to us that actually do not serve us, and they need to be taken out and replaced. Sometime there seem to be pieces missing, sometimes big gaps. Keep looking for the pieces that make your life feel good, keep reaching out to the people that can help you undo the parts that are not healthy, or serving you anymore, that will help you find the missing pieces, keep observing and asking each and every day, “how can I feel happy today”. If you feel you do not know what happiness feels like, take a moment to recall a fleeting moment – with a pet, or someone else’s pet, a moment in nature, the beach, surfing, swimming, a baby and sit with that feeling for a little and fill yourself with that feeling. Then start your next moment/experience from that place. For me the biggest challenge was what I call the Inner Tormentor – the part of me that carried on where others left off, that went 24/7, 365 days of the year. I will not claim to have completed the journey 100%, however I would like to think that I have gained 95% of the ground to becoming bully proof (from myself and others) with the remaining 5% still to work with being the inner bully. So to recognise and deal with 46 years of bullying from others and self, helps me to know YOU MATTER and you too can have freedom from shame and those who have contributed to this situation in your life.